If there was a nutritional magic bullet, then fibre would be it. Fibre has such a huge impact on gut health, which in turn has profound effects on both physical and mental health. Within our gut, we have around 2kgs of microbes that digest our food and regulate our nervous system, our immune system, and other vital organs. Poor nutrition such as daily intake of high sugar foods or processed foods can wreak havoc with these microbes in our gut, increasing the likelihood of metabolic diseases such as obesity, Type 2 diabetes, and heart disease. A great book on this topic is Tim Spector’s The Diet Myth (read our summary here) with the shocking revelation that a diet of junk food can dramatically reduce healthy gut microbes in only two days. Given that diet-related chronic disease accounts for 9% of total NHS spend*, then surely it’s smart to start paying attention to your gut health, both for your personal well-being and also for the public purse! Aside from gut health being critical to preventing disease, researchers are now getting excited about gut microbes in a myriad of ways for disease treatement, including the recent article in Nature on whether gut microbes can influence how well some cancer treatments work, stating “some proponents say that strategies to mould the microbiome could be game-changing in cancer treatment.” Fortunately, fibre is the good guy here – the one to bring back the microbes and restore good gut health. Essentially, fibre is needed to keep your microbes active, diverse, and to help them multiply as evolution intended. This got me thinking that so much nutritional advice focuses on such narrow parts of the whole picture (5-a-day, gluten-free, paleo, etc), whereas fibre really is the hero, multiplying microbes, gearing up our guts and boosting our bodies. As adults we should consume 30 grams of fibre per day, yet most of us only achieve 18 grams. Considering that our daily diet is made up of a patchwork of foods that pass our lips, just pause for thought next time you eat something, and consider whether it’s going to purposefully contribute to your daily 30 grams of fibre goal. 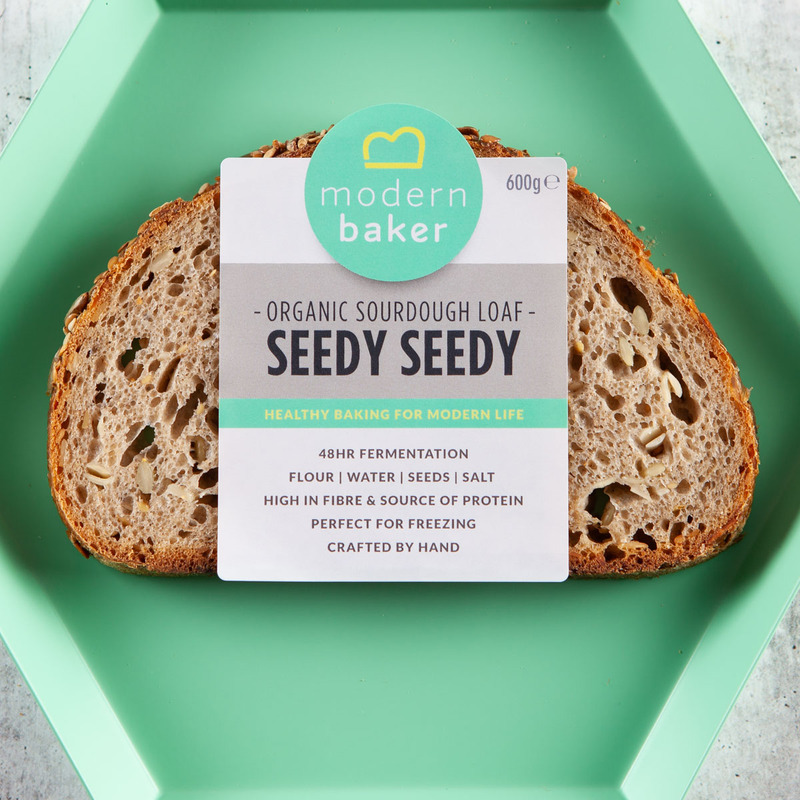 We’re really proud that our long-fermented Seedy Seedy organic sourdough loaf is so high in fibre – it’s an ideal everyday loaf to boost your fibre intake and I love mine with avocado on top. Try it today – now available to buy online. *Figure from Innovate UK flyer C15/CB026, August 2015. LOAF TO YOUR LOFT? BREAD TO YOUR BUILDING? Be the first to hear about Modern Baker’s scientific discoveries, innovative recipes and the latest health industry news.